On the occasion of World Poetry Day on March 21, we revisit English Romantic poet Percy Bysshe Shelley’s vegetarian idealism. The poet, who championed the cause of free love and atheism in somewhat conventional times, can be looked upon as a role model for today’s vegans. In A Vindication of Natural Diet (1813), Shelley champions the cause of a natural vegan diet for a sound mind and healthy body. “The structure of the human frame then is that of one fitted to a pure vegetable diet, in every essential particular,” Shelley argues in the essay. His espousing the vegetarian cause way back in the 19th century finds new resonance in the current context of climate change and related emissions associated with livestock rearing and the meat industry. The livestock sector contributes to about 14.5 per cent of human-induced greenhouse gases (GHG), much of which is methane produced by ruminant digestion. According to a report, the worldwide consumption of meat is expected to increase by 76 per cent by 2050, thanks to rising household incomes leading to greater demand for more meat globally. Apart from GHG emissions, livestock production also causes land use change and gives rise to water demand. Another report says that the present food production system (too much meat intake) is destroying the environment. Apart from emissions, livestock rearing also promotes deforestation as forests are cleared for grazing lands. The meat industry is also responsible for water pollution. The 2016 SOFO report says that seventy-one per cent of deforestation in seven South American countries in 1990–2005 was driven by increased demand for pasture. This can be viewed in the context of efforts being made today by nutrition experts to include more fresh fruits and vegetables in our diets to reduce obesity and associated health risks. For Shelley, eating meat meant having “unnatural appetites”. The poet’s repulsion also arose from his concern over animal slaughter and torture. Food and Agriculture Organization nutrition officer Ana Islas Ramos once told Down To Earth though meat could be a good source of animal protein, it should be eaten in moderation. According to her, excess meat consumption has both negative health and environmental consequences. Though giving up on meat may not be possible for all of us, we may still be driven by Shelley’s vegan idealism to restrict its consumption in view of our health and the environment. It's nice to see Shelley getting some recognition. He also mentions vegetarianism in his poem, Queen Mab. The only typo I found was the century. Shelley did the majority of his writing, including the work cited, in the 19th century, not the 18th. Thanks for your appreciation. 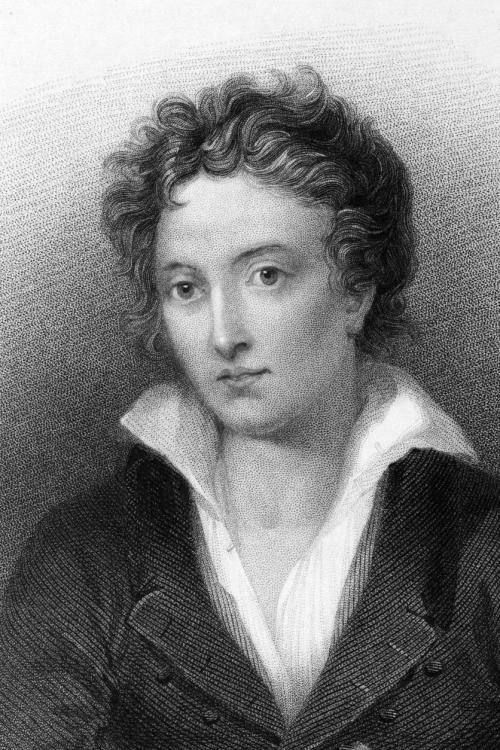 As far as Shelley's getting recognition, he has always been considered one of the top poets of English poetry. His style influenced Tennyson, Yeats and a host of English poets. Sorry for the typo and the 18th century. I will make the corrections. And thanks for mentioning Queen Mab.